How long does it typically take to sell a business via a broker such as the Business Partnership? 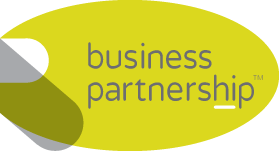 If I appoint the Business Partnership to sell my business how will you market it so I can achieve a quick sale? What steps do you take to make sure you sell my business for the best possible price? Where do you find buyers for the businesses you seek to sell for your clients? How experienced are your regional partners at selling businesses? Tell me more about your national network of partners? What do I get for the price of a valuation of a business I want to buy? If the Business Partnership helps me buy or sell my business will I deal with one person in my region or will I get passed from pillar to post? How am I kept up to date with progress of my business sale? Our fees are commensurate with the amount of work involved and depend on the successful sale of your business. Once instructed, there are no hidden fees and we’ll continue to provide support until the business is sold, however long it takes. We have a long and strong track record of achieving successful sales of businesses for our clients which is why we are confident we can offer a better service than our competitors. We would typically expect to achieve an acceptable offer within six months. Once an offer has been accepted and the deposit paid, we would expect it to take a further 8-12 weeks to complete the transaction. However, there are no guaranteed timelines when selling a business as there can be many complications which are often outside our control. As soon as we are instructed, your business sales details will be prepared for your online approval. Once approved, they will immediately go live and are automatically uploaded to all the third party web sites we have identified in your individual marketing plan. We have a good reputation for achieving optimal exit values for our clients. As our fees are mainly dependent on a successful sale of your business it is in our regional partners’ interest to maximise the sales value. We prepare a detailed marketing plan which is tailored to your individual business. This can include direct marketing, internet advertising, database searches, use of third party internet sites, personal connections, business networking and discussions with business associates, not to mention searching for buyers within your business sector. We also have a central database of over 85,000 prospects and associates which can be accessed by all of our regional partners. In short, we know where buyers look to acquire existing businesses so that is where we seek to sell your business. All our partners are fully trained in all aspects of selling a business, including valuations, due diligence, preparing legal documentation through to completion. If there are any unusual aspects of the sale, our head office will provide added technical and administrative support. We have a network of 20 regional partners who operate in geographical areas around the UK. They collectively share knowledge, experience and connections. Your regional partner will provide local interaction and support and have access to our national database and centre of excellence. We collect data from all of the transactions we handle throughout the UK which provides valuable market knowledge, insight and statistical analysis. Our valuations provide an accurate monetary assessment of a target business you are seeking to purchase, based on local knowledge, industry expertise and access to empirical data of sales of similar businesses across our network. But that is only part of the service we offer. Our partners will also provide an impartial and objective analysis of the business in question, including potential risks and pitfalls they identify with your proposed acquisition. They will also advise how you may wish to negotiate with the seller, structure your payment and conduct due diligence. We may be a national network – but we understand and appreciate the value of a local, friendly face. Our regional partner in your area will be involved throughout the whole process and will be your sole point of contact throughout. They may not complete all of the administration details but will be happy to be contacted at any time and will able to advise on any aspect of the sale. Instantly and in real time. We have an online client engagement portal available to all of our clients via secure access to our website 24 hours a day. It provides information on the people who have enquired about your business and the status of their enquiry. Each time there is communication with a prospect, the system is updated and narrative added. This is a popular, useful and greatly appreciated complimentary service we provide for our clients.